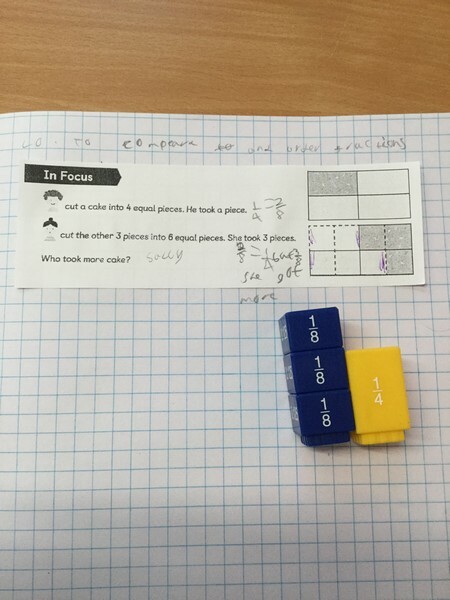 Year 5 Kestrels looked at comparing fractions today. We problem solved with different fractions. We had to think of the equivalent fractions to help us. Then we ordered fractions. 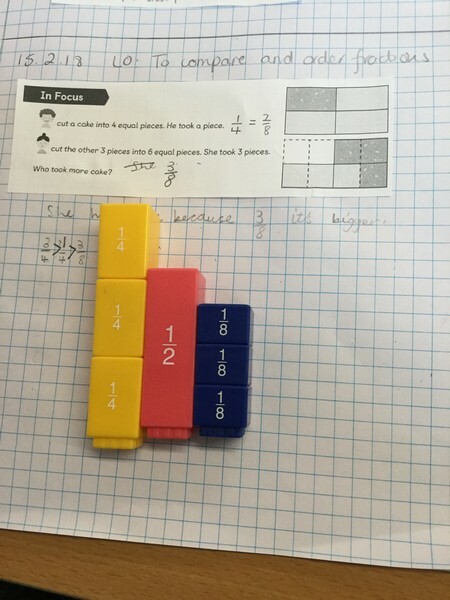 Our fraction cubes helped to check what we thought was right.